You don’t need us to tell you wearing a helmet when riding a bicycle is important. A head injury for a child can be much worse than the same injury for an adult since their head and brain are still developing and growing. Knowing it’s important and making it happen are two different things. We’re going to help you make sure you get the best kids’ bike helmet that offers protection, looks good and fits perfect. We’ve done the research so you don’t have to. We’ve compiled a list of our top 7 choices. Let’s get that kid a helmet! For more of my top gear recommendations, have a look through these popular Outside Pursuits guide links: Kids Bikes, Bike Lights, Kids Mountain Bikes. Our guide and comparison table outline the key factors to take into account to help you get a top rated kids bike helmet for your children. Not many kids’ helmets allow them to wear both a ponytail and the helmet comfortably and safety. In fact, forcing a ponytail into the helmet or adjusting the fit of the helmet to accommodate one can greatly reduce the amount of protection the helmet offers. The Giro Scamp MIPS Youth Bike Helmet solves this problem. No longer do kids need to choose between their hairstyle and the safety of a helmet. The Giro Scamp helmet incorporates the style and safety features of many of the brand’s adult helmets, putting it in a smaller size for the younger ones. Due to the size adjustability of this youth bike helmet, it can grow with your child and is our Editor’s Choice as he best toddler bike helmet. The adjustability means you won’t have to buy a new one every year, or even every few months, while they go through their growth spurts. It is possible to purchase this style of helmet both with and without the MIPS system integration (Giro Scamp Youth Bike Helmet). Which one you choose is up to you but we cover this technology in greater detail in the buying guide below. Does your kid want to sport a mohawk and you don’t like the idea? Do they already have one but would hate to wear a helmet to cover up their slick style? Now there’s a helmet that has a mohawk designed right into it, and it even lights up with 5 LED lights! The batteries are included and it has an auto-shutoff to help you make the battery last longer. The lights can be set to either flash or stay steady. The graphics on the helmet itself only help to make that 3D mohawk stand out. Choose from a T-Rex, cool digi-camo, or even Jolly Roger. This bicycle helmet comes with CPSC and ASTM certifications. If you aren’t sure what that means, don’t worry! We cover all of that in the buying guide below. Bell, the makers of the Raskullz Mohawk helmet, has been around for 60 years and is a leader when it comes to bike helmet protection technology. If you’re worried that your kid’s new bike helmet won’t sit properly on their head, or that they will adjust it to make it more comfortable or look cooler, the Bell Berm MIPS bike helmet solves that problem. The shape of the helmet is designed in a way that it will only sit on the head in the proper position, every time. Let them put their helmet on themselves and you won’t need to go back and check that they’re wearing it correctly. However, it’s the style of this helmet that makes it stand out. If your kiddo has a certain style going on, loves to watch the X-Games on TV, or even just likes the look of those types of helmets, the Bell Berm is perfect. The smooth, vented design is definitely not your average youth bike helmet, and that’s exactly the point. It tends to run a little small so it’s best to take an accurate measurement of the child’s head so you can be sure it will fit correctly. With the safety of MIPS protection and excellent comfort it’s our pick for the best kids bike helmet! BMXer, skateboarders, in-line skaters and more have their own unique style. It’s hard to miss the smooth style, small vents, and a shape that sits lower on the head. Why not let your kids emulate the style of the older “kids” that sport this style when participating in sports they, themselves, want to learn and grow into? In fact, with sizing for kids, youth, as well as adults, this pop-culture style can be worn by the whole family. The Pro Rider BMX helmet has the core and padding that they need for optimum protection but it also features a hard outer shell that can take the damage from smaller spills and even getting tossed around the house, garage, or neighborhood. 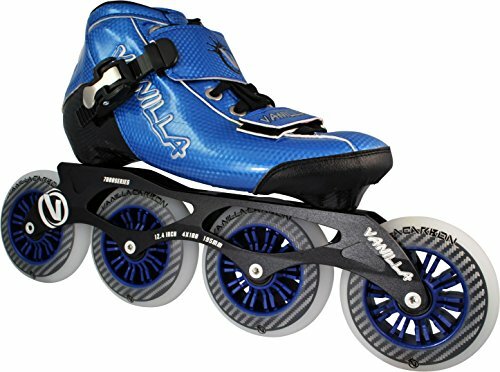 It’s also very lightweight which can help make it more comfortable for those kids that don’t exactly like the idea of wearing a helmet. We have a few tips on how to make it easier to get your kids to wear the head protection they need when participating in certain outdoor activities. If you’re looking for the best BMX kids helmet, the Pro Rider is a good choice! If your kid loves to travel to Adventure Bay with the Paw Patrol then giving them a helmet that features their favorite Paw Patrol characters can encourage them to wear a kid’s bike helmet. It may even encourage them to get outside and get active so they can show it off. The internal and external shells work together to help make this toddler bike helmet as safe as possible. It comes with a set of thick pads and another set that’s a tad smaller. Attach these pads to the Velcro dots inside the helmet so your child has a helmet that fits them properly. There is also a dial in the back of the helmet, just below the bottom of the shell, that allows you to tighten or loosen the overall size for the circumference of his or her head. This can help make the helmet last even as they grow, as you adjust the sizing that’s perfect for them. Marvel Comics and their team of superheroes have never been bigger. You need only to look at the list of upcoming movies and TV shows to see that. Whether your little one likes Spiderman and his snarky humor, Iron Man and his sarcasm, or even brave Captain America who fights for justice for all, you can find the perfect helmet design to make them feel like their OWN superhero. The Fit System that Bell has designed in nearly all of their newest children’s and youth helmets helps to ensure that the helmet always fits properly and sits in the correct position on their head. While the cosmetics are on the outside, the inner portion of this helmet is constructed of materials that stand up over time and offer great protection when used for outdoor activities. It seems to run on the small side so measure their head circumference carefully and if you are worried about sizing, choose one size up. 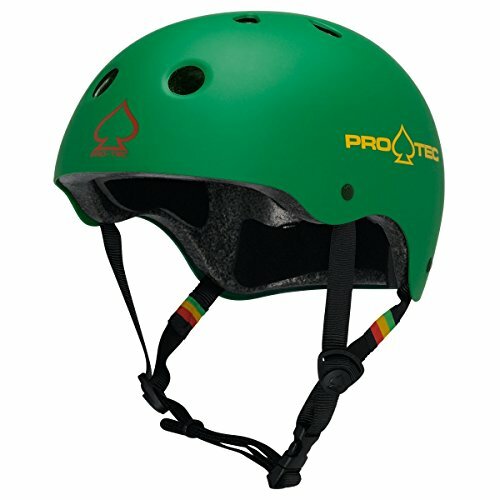 The helmets worn by the pros on TV, whether BMX riders or snowboarders, often have unique and colorful designs. Is your kiddo always on the lookout for what style and color of helmet their favorite extreme sport icon is going to be wearing next? Do they have a fun and outgoing personality and want to show the world with a bold look? The Jr Nino Sport Bike Helmet comes in several styles. In fact, it may be hard to choose just one that they would love to wear! Bern has designed a “zip-mold liquid foam technology” that allows a larger helmet size not to be so bulky. Since the helmet sits closer to the head, but still offers the outstanding head protection Bern is famous for, it gets rid of the mushroom-top look that many helmets have, whether they are for kids or adults. The Jr Nino kids’ bike helmet is crafted in the likeness of the Brentwood, a popular Bern style for adults. You can easily upgrade this kids’ helmet to be used in colder weather as well through the winter upgrade kit that is available separately. MIPS – What is it? All of the helmets we’ve just told you about have some awesome features, but do you know what the most important features are when choosing the right bike helmet for kids? These are just a few of the things you should be on the lookout for when shopping. Here are the two main organizations that test out children’s helmets to certify their effectiveness and safety. The Consumer Product Safety Committee, also referred to as the CPSC, was established in 1999 to ensure the safety of many types of products, including kids’ bicycle helmets. Any helmet sold today should be certified by the CPSC. Even if it is listed in the product description, double check the inside of the helmet to ensure there is a label or tag that proves this certification. It is completely voluntary for the makers of a child’s bike helmet to seek an ASTM certification. The ASTM, or American Society for Testing & Materials, offer several types of certification on many types of products. Some vouch for the safety of the materials used and some will vouch for the construction materials and design when it comes to doing the job it was made to do. If a children’s bicycle helmet doesn’t have an ASTM certification, it doesn’t mean that it wouldn’t qualify if the product was submitted, and it may even already be in the process of becoming certified. The Multi-directional Impact Protection System, known as MIPS, was designed to help lessen the impact during spills that cause a twist in the head and neck. Even those these systems only allow for a few millimeters of movement between the inner and out shell of the helmet, this slight movement can significantly lower the damage caused by such impacts. As a newer technology, it isn’t available in every helmet and isn’t required by law. However, you may not need the MIPS technology. Kids over 5 and into the young adult years have the highest rates of head injuries when participating in some outdoor activities. While younger children still need the head protection, they are usually going much slower and falling from a shorter distance and may not benefit from the protection a MIPS-integrated helmet would offer. If they made a helmet that specifically fit each child’s head, then they would all have to be custom-made. The size and shape of any human’s head are as unique as their personality and even Social Security number. This means that the universal shapes used by helmet makers are made in such a way as they can be adjusted to fit many sizes and shapes. Whether through adjustable chin straps, padded inserts, or even dials, the helmet should be adjustable for a proper fit. I’m pretty sure that most adults wouldn’t go out wearing a helmet they thought made them look “dorky” even if it offered higher protection. If you are trying to convince your kid to wear a helmet, the task can be even harder if they don’t like the style of the one they have or that you choose. It’s easy to choose something they know they would love if you can go based on current interests or if you are just buying a bigger helmet and the love the one they currently have. If you don’t know exactly what they would want to wear and be seen in, you may want to have them help you choose the perfect one. This is also a great time to start stressing the importance of wearing one. If buying the perfect bicycle helmet for kids was so easy there wouldn’t be myriad options out there to choose from. This means that most parents, grandparents, and other guardians may have questions when faced with this task. We’ve gotten tons of questions from people just like you. Q: How should a bicycle helmet fit? Is it the same for adults? A: Yes, the way an adult helmet fits when worn properly is the same way it should fit on a toddler, kid, or young adult. It should never tilt to one side and shouldn’t be worn so far forward that it obstructs the view. It should fit snugly so that it stays in place. You should measure the circumference of their head with the tape measure placed at the middle of the forehead and around to the back of the head. This should be the widest place. Most helmets include a sizing guide to help you find the perfect fit. Q: Does the style of helmet really matter? There are tons of choices! A: It seems the only place for any “ugly” apparel is a Christmas party. No one, of any age, wants to go out wearing something they think is ugly or just isn’t their style. If you don’t prefer to do it then you can’t expect kids to do it either. Knowing they like the shape and overall design of the helmet you ask them to wear will make it a lot easier to make them do it. Q: When should my child start wearing a helmet? A: As soon as they are riding a bike or even tricycle, you should start them in the good practice of wearing a helmet. 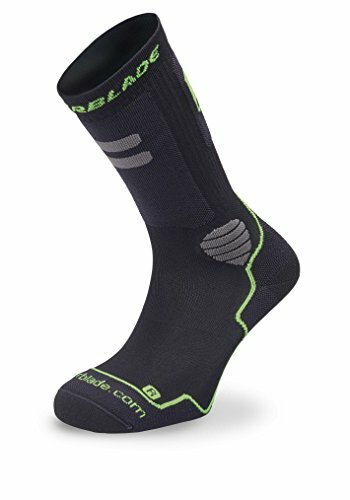 It may be harder to get them to wear one when you didn’t have them wearing one last summer when they still had training wheels. Start early! 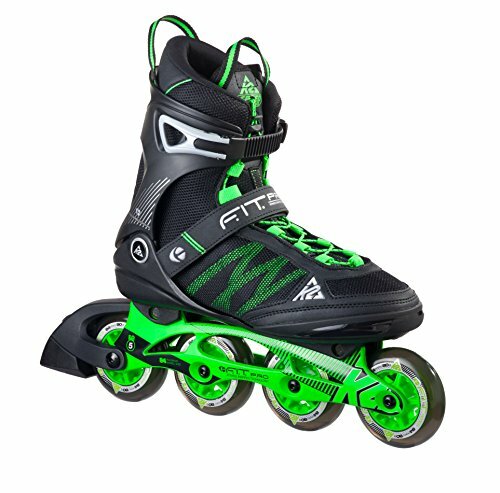 Q: Is an expensive helmet better than a cheaper one? A: Through tons of tests, most of the cheap kids’ bike helmets offer the same amount of protection as many very expensive ones. Unless they will be racing in the Tour de France, any one of the helmets we’ve featured here will do the job of protecting your kid’s noggin very well. Q: Can a bicycle helmet be used for other activities? A: Oftentimes, there’s no need to have a different type of helmet for each outdoor activity your kids enjoy. Whether they are just learning to ride a bike or they head to the skate park every Saturday, the same helmet will usually suffice. A kid’s helmet is designed to keep them safe. We have some tips to help ensure you get the most out of your investment and that the helmet can help prevent or lessen any injuries if they were to fall. As an answer to one of our FAQs above, we mentioned how important it is to start as early as possible. Even if they are just learning to be mobile on a tricycle or on a bike with training wheels, they should be wearing a helmet. This means that as they age, wearing one isn’t a chore and instead is second nature. It can be hard to convince a kid to wear a helmet if they don’t see you wearing one as well. Shop for the right one for you and make it a habit to wear it every time, just like you are asking them too. In fact, even if you aren’t participating, wearing a helmet while helping them can go a long way. We’ve mentioned it several times and that’s because this “tip” actually does work when getting kids to wear a helmet. 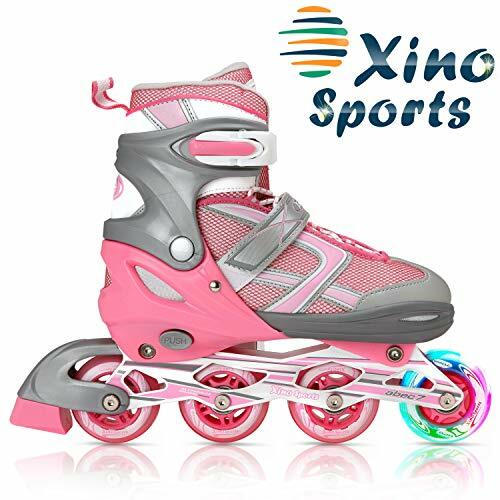 Even if you choose the brand and type of helmet based on safety, price, and other factors, if there are multiple colors or designs to choose from it may help to let them choose. After all, it will be on their head. They will choose something that they like and they will want to show off to their friends when playing outside. 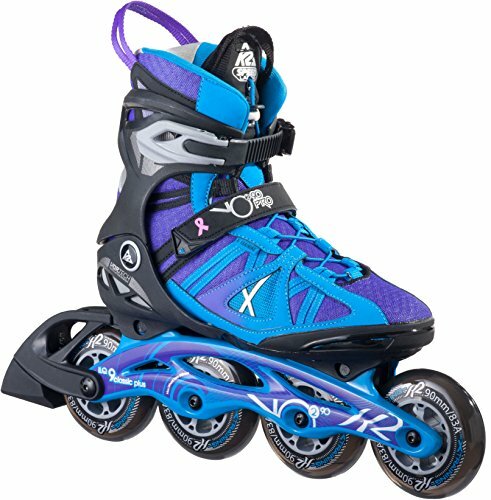 A bicycle helmet isn’t the only safety gear that can help protect kids when they are riding, boarding, skating, etc. 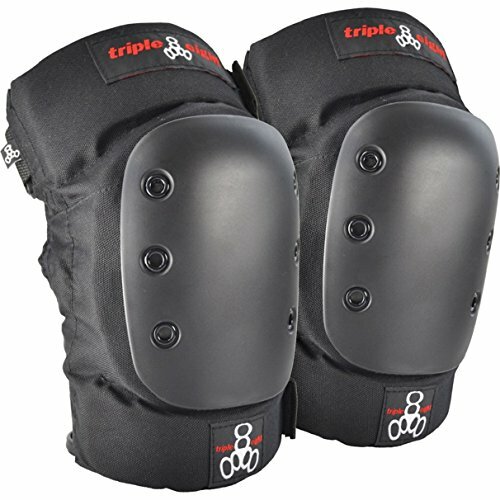 Elbow pads, knee pads, and wrist guards are all very effective, and highly recommended. 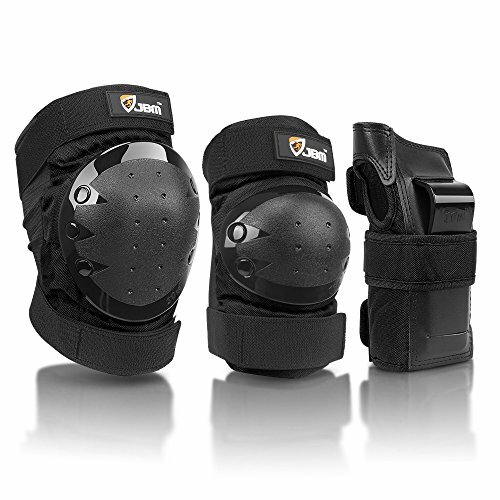 Many of the same CPSC and ASTM certifications will apply to that equipment as well so you know you are getting gear that offers excellent protection. When a helmet, any of them, receives a hard impact it weakens the materials used and it can compromise its safety. There may even be cracks and stressed areas that aren’t visible. In fact, even a hard drop on the driveway concrete can weaken it which means kids should be instructed on proper care of their helmet. For all of these reasons, it’s never a good idea to use a helmet you found, a hand-me-down helmet, or even a used one at a thrift or second-hand shop. Get Out There and Ride – Safely! It’s always more fun when they can enjoy riding a bike, or any other outdoor activity they like, when there aren’t any injuries, especially serious ones. Stress the importance of wearing a helmet give them a reason to wear it and make it a design and style they love so they want to. Now get out there and have fun!